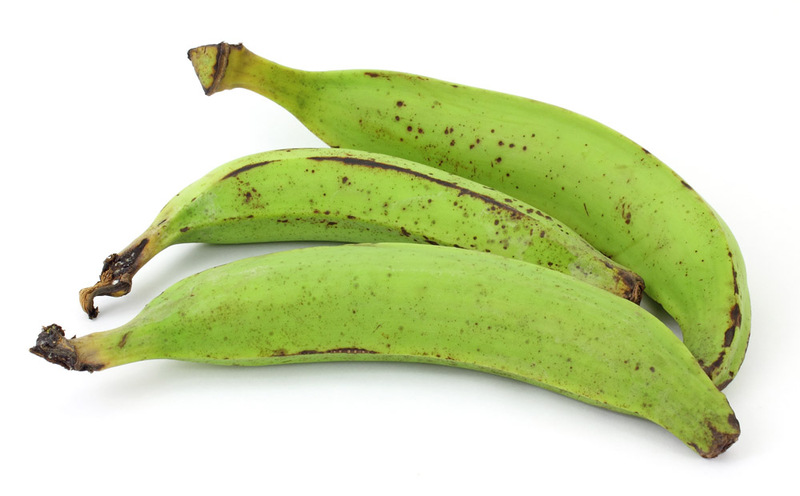 Plantains are a type of Banana that are almost inedible when raw and usually must be cooked before eating, unlike regular sweet Banana varieties, Plantains are not sweet and are very starchy and most are larger and more angular in shape than sweet bananas. 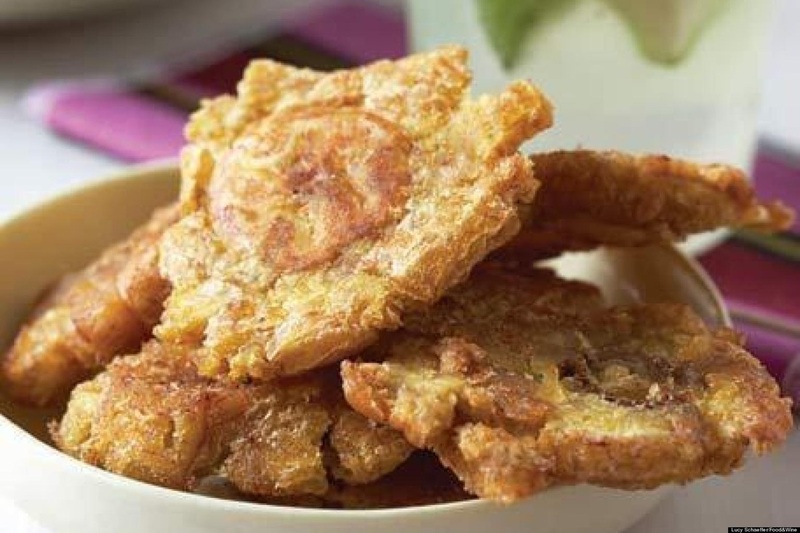 as they ripen, their high starch content will transform into sugar making them much sweeter as they age. 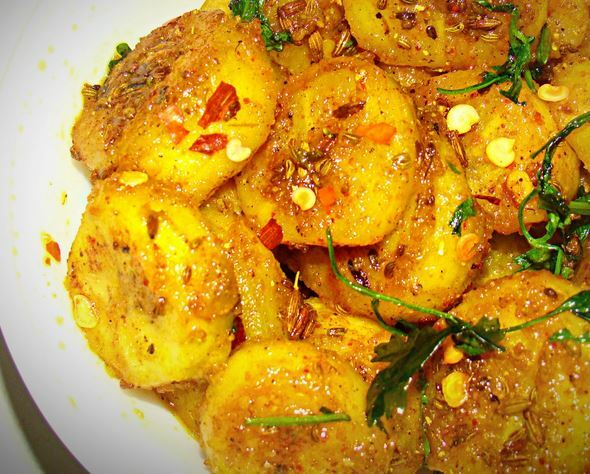 Plantains are served boiled, steamed, baked, grilled or fried, it just depends on what you want to make. Throughout history Bananas have provided humans with food, medicine, clothing, tools, shelter, furniture, paper, and handicrafts. It could be termed the "first fruit crop" as its cultivation originated during a time when hunting and gathering were still the way we got food. 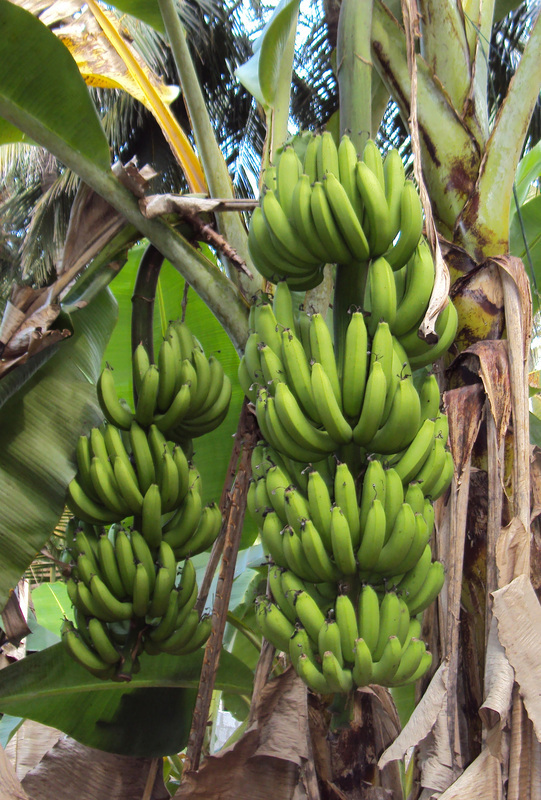 Although referred to as Banana trees, they are not trees at all but a perennial herb. Its trunk is not a true one, but many leaves tightly wrapped around a single stem which emerges at the top as the fruit-bearing flower stalk. Yes, Banana trees are Herbs. The fruit fingers grow in clumps known as hands, since they resemble a hand with fingers. The entire stalk, known as a bunch, takes up to a year for the fruit to ripen enough to be harvested. The original stem dies after producing fruit, but sideshoots rise from the same underground corm to produce a new plant to be harvested the following year. The fruit itself is sterile, unable to produce a plant from the barely visible dark seeds within.